Dimensions 280' by 31'6" 17'2"
The "Hunts" were conceived as small, inexpensive, mass produced destroyers to serve as convoy escorts and in all other destroyer functions except fleet duty. 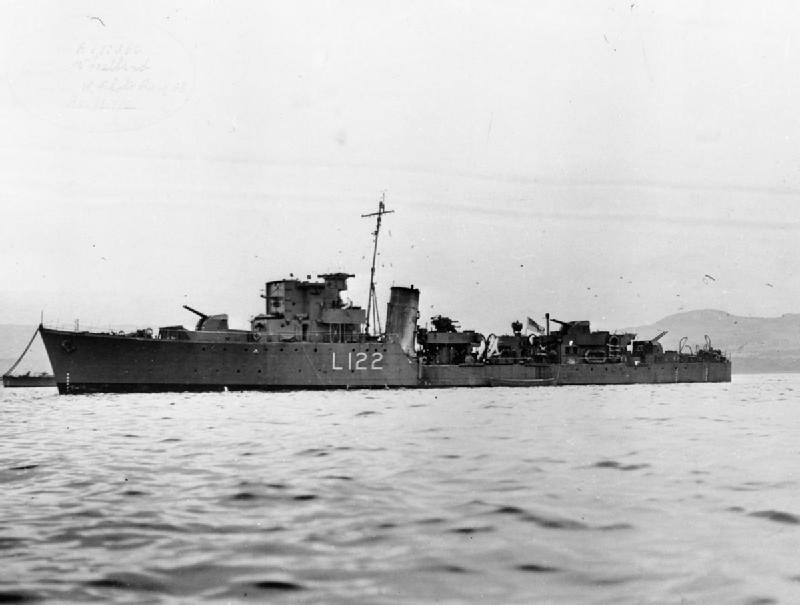 It was clear when war broke out that destroyers were going to be needed in vast numbers but that conventional large destroyers could not be produced quickly enough to meet the need. The ships of the class were named after English hunting clubs, which gave the class its name. The program nearly came to disaster when the first unit was found to be dangerously unstable due to a miscalculation of the metacentric height by the designers. As a result, the first group ("Hunt" Type II) had to be completed with reduced armament. None of these units saw service in the war against Japan. Design changes restored stability, and the "Hunt" Type II were completed with the full original design armament. A few of these units arrived in the Far East in time to participate in occupation operations, and they would doubtless have participated in the invasion of Japan had that taken place.